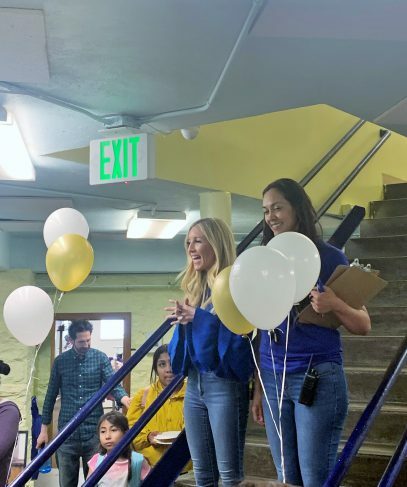 In front of a crowd of jubilant Wyatt Academy students, Kate Mishara and Maria Estrada, Wyatt’s Director of Community Engagement and the school’s Registrar respectively, welcomed Wyatt’s students and families to the school’s grand opening of the Wyatt Academy Family Empowerment Center. The grand opening celebration marks a significant milestone for Wyatt Academy, a school once on the brink of ceasing operations, and today is a thriving, inclusive and supportive anchor in the Cole neighborhood. Kate Mishara and Maria Estrada of Wyatt Academy. “We are so grateful that each of you are here, as so many of you played a huge part in making this day possible,” said Mishara, as Wyatt Student Council members cut the symbolic red ribbon, ceremoniously opening the space to the community. The Family Empowerment Center consists of four different areas all aimed at providing security and supportive services to the lives of Wyatt students and their families. 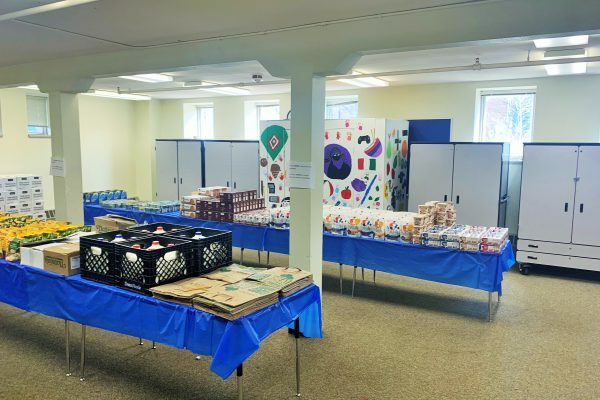 The Center includes a laundromat, children’s clothing boutique and healthy food pantry. All will be available free of charge. The Center also has a computer writing center which will increase computer literacy for both parents and students. Shopping for groceries or buying new clothes can be time consuming and prohibitively expensive daily responsibilities for families. A trip to the local laundromat (there is currently just one in the entire Cole neighborhood), can be a challenging errand for many families, some who work multiple jobs or are without reliable transportation. Food security is also a major issue in the surrounding Cole community, with just one supermarket in the entire neighborhood. Wyatt Academy staff recognized that to provide an exceptional and well-rounded academic experience for all of their students, families needed access to these basic goods and services. “We believe that in order for our students to be set up to learn, thrive and be happy and on time every day, we need to know that their basic needs are being met,” Mishara told Urban Land Conservancy (ULC) following the grand opening. The no-cost food pantry at Wyatt Academy's Family Empowerment Center. The story of the Family Empowerment Center is one of transformation. Rick Brewer, Director of Scholar Services at Wyatt, told ULC about the sad state the space used to be in. The school faced declining enrollment and as Brewer put it, “people began to lose hope.” The space, located in the lower level of the school, used to be full of vacant classrooms, stacked chairs and inoperable restrooms. Wyatt has had a long history peppered with adversity. The historic building was constructed in the late 1880’s, and nearly one century later Denver Public Schools (DPS) shuttered the school due to the shrinking population of the Cole neighborhood. Optimism revived in 1998 when the school reopened, but it hasn’t always been smooth sailing. By 2016, the school’s test scores were below average, with just 17% of students meeting expectations in reading and only 11% in math. However, Wyatt Academy has rebounded incredibly. ULC reported in the fall of 2018 that Wyatt students now meet expectations in three academic categories, a tremendous turnaround for academic performance in under two years. Covering everything was a common theme touched on by the organizers of the Center. Mishara, who, along with Estrada, was the chief architect of the Center, touched on the holistic school services the Center will provide. 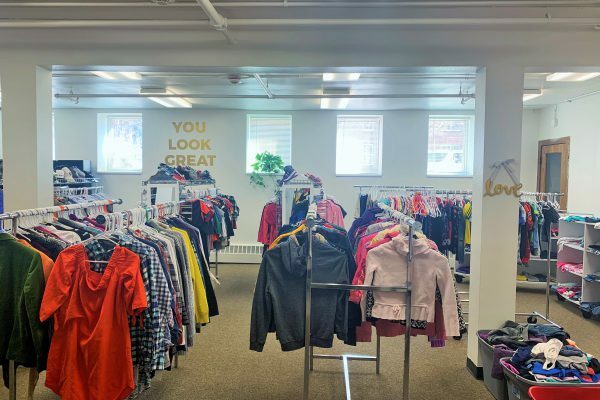 The no-cost children's boutique at Wyatt Academy's Family Empowerment Center. 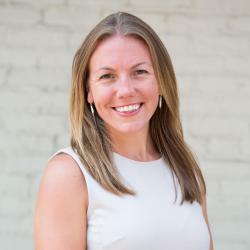 “We really believe in wrapping our arms around our community and doing everything we can to support our kids, making sure they are set up for success every day,” Mishara said. Wyatt staff doesn’t expect to slow down anytime soon. In addition to services the Center already offers, there are future plans to include community aerobics and Zumba classes, as well as an array of mental health services. The Family Empowerment Center is now open to the community on Fridays, and hopes to extend the Center’s hours in the next academic year. ULC would like to extend our deepest congratulations to Wyatt Academy’s dedicated staff, the numerous volunteers and the mission minded partners who brought this community center to fruition. Partners include: We Don’t Waste, Denver Food Rescue and Conscious Alliance. Wyatt Academy is located adjacent to ULC’s Tramway Nonprofit Center, a shared nonprofit office space home to more than 15 nonprofit organizations. Due to ULC’s proximity to Wyatt Academy, and our first right on the building, ULC holds a deep admiration for the school. We firmly believe that Wyatt will continue going above and beyond for their students as well as the entire Cole community.